Life Insurance Corporation of India (LIC) is celebrating this year (2016) as it’s Diamond Jubilee year. Marking the 60th anniversary celebrations, LIC is coming up with a new money back plan called as LIC Bima Diamond (Plan no 841). This new plan is a non-linked, traditional Money Back policy. This plan is available for purchase from 19th September, 2016 to 31st August, 2017. LIC has launched 3 new life insurance plans during the last 8 months of 2016. These are namely, LIC Jeevan Labh Plan, LIC Jeevan Shikhar Plan and LIC Jeevan Pragati Plan. Bima Diamond Plan is going to be its fourth plan for the year 2016. As per LIC, Bima Diamond Plan has triple advantage i.e., i) enhanced protection, ii) Money-back & iii) Auto cover features. Enhanced Protection : Extended cover period for half of the policy term after end of the policy term. Money-Back (Survival Benefits) : Money back at an interval of every 4th year. 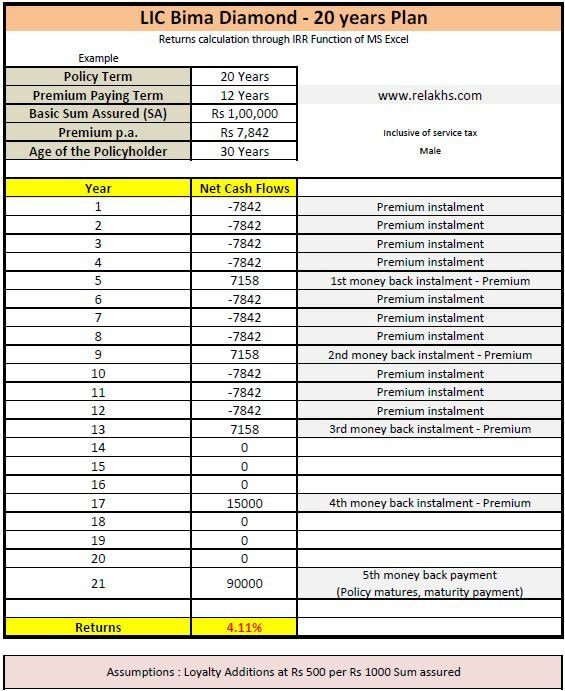 Auto cover feature : On a policy of at least 5 full years on which subsequent premium is not duly paid, auto cover period of 2 years is available. 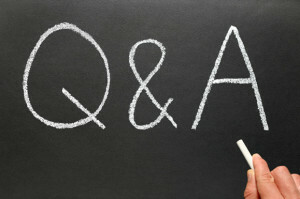 Option 1 : Policy Term of 16 years with Premium Paying Term of 10 years. Example : If you buy LIC Bima Diamond policy with Rs 2 lakh sum assured with option 1, you need to pay the premiums for up to 12 years. Your life cover shall be for 30 years (20 Years policy term + 10 years extended coverage). You will get money back for 5 times during the policy term. The death benefit will not be less than the 105% of all the premium paid in the policy as at the date of death of the life assured. 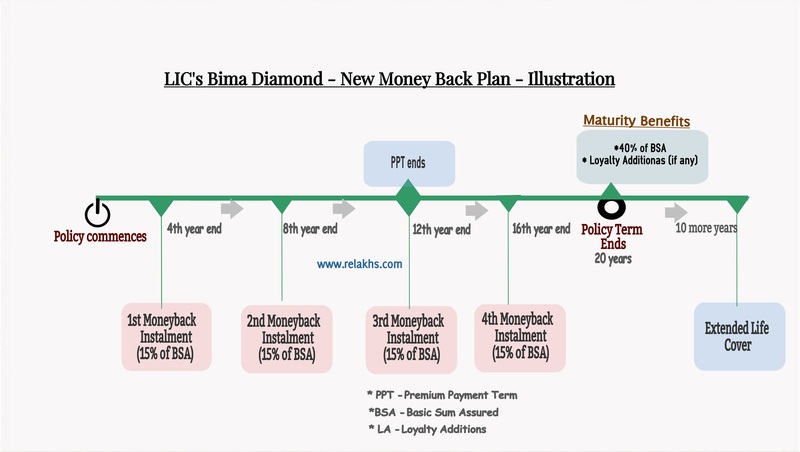 Maturity Benefits under LIC Bima Diamond Policy : If the Life Assured (Policyholder) survives till the end of the policy term, “Sum Assured on Maturity” along with Loyalty Addition, if any will be payable to the Life Assured. 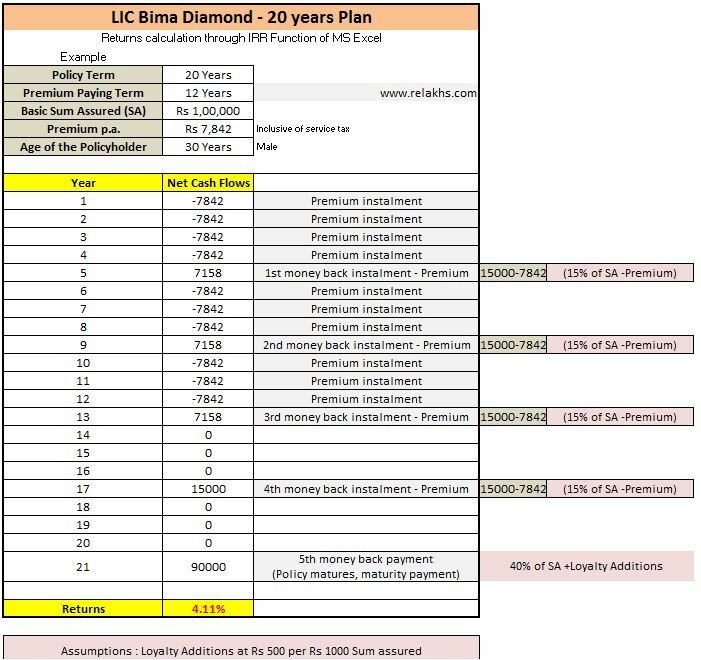 Where “Sum Assured on Maturity” under LIC Bima Diamond Plan is 55% of Basic Sum Assured in case if policy term is 16 years and 40% of Basic Sum Assured under Policy tenures of 20 and 24 years. I have considered a 20 year policy term Bima diamond plan. So, the premium payment term would be for 12 years. The survival benefit i.e., money-back installments would be payable at the end of 4th, 8th, 12th and 16th years. The money-back amount is 15% of the basic sum assured. The maturity benefit amount is payable at the end of 20th year, which is 40% of basic sum assured + Loyalty additions (if any). After the 20th year, the life cover continues for 10 more years. No Simple Reversionary Bonuses: There are no simple and annual bonuses under Bima Diamond Plan. Loyalty Additions (if any) alone are paid on policy maturity. Kindly note that this post is based on the limited available information. The above details can be changed. Dear Tanvi..Kindly read: List of investment options! I want to take bima gold please tell me onlne procedure on my email also tell any discount for. Dear rangasait ..May I know your requirements?? Are you looking for life cover or good returns? I took Jeevan saral policy in the year 2005 I was told that I will be given 10% Interest in the total term of 10 years.But once I went for maturity I recieved only the paid amount.Then I came to know that this policy does not include any bonus,I came to know that only loyalty addition is payable and it was NIL loyalty.LOYALTY policy is of no use. THIS IS THE REASON I M NOT PURCHASING BIMA DIAMNOND. I think not ten years its 11 years. If you are looking for adequate life cover at affordable premium rate, you may consider buying a Term insurance plan. What is new about this plan? 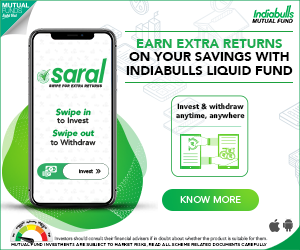 Whether it will give more than 5%-6% which other LIC plans are offering? Similar to routine Traditional money-back plan but with more masala flavor. Good plan for savings with extended risk cover. LIC Bima DIAMOND Plan is Best. please call me to contact and get further details of LIC plans with my numbers as 9030135851 and 9441768583 or you can put a message to me.